Architectural Lighting | Eurocom Inc. The establishment of NP Lighting Architecture is the Eurocoms answer to the increased demand for support in developing sophisticated lighting solutions by lighting designers, architects, shop and restaurant designers, and artists. Professional lighting designs and installations increasingly rely on the right choice of lighting technology and this can become quite a daunting undertaking. This is especially so when considering the speed of technological progress and the tightening of environmental requirements. It is a complicated and time consuming process. As a specialist regarding lighting products and technology we want to put all of our knowledge and support at your disposal. NP Lighting has been active in the lighting industry for more than 50 years and boasts a high tech production facility for modern lighting components, an in-house research and development facility, a tried and tested team of lighting engineers and installers, as well as an international sourcing and distribution network. FlexFluor is the name of a modern and innovative lighting technology that combines the photometric advantages of florescent light sources with the superior flexibility of cold cathode based lighting solutions to permit the installation in a high variety of lighting applications. There are almost no restrictions to the shapes and sizes a Flexflour light source can take; Flexfluor solutions can use the whole bandwidth of florescent colors (over 150) currently available to the market, even custom designed colors are available on demand. 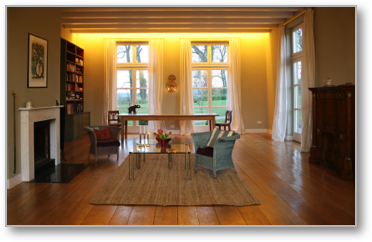 FlexFluor installations offer step-less dimming and a superior CRI index. The LED (Light Emitting Diode) is the next big thing when it comes to lighting technology. LEDs have an exceptionally long life expectancy, are compact in size, and permit designs one could only have dreamed of until recently. LEDs can best be described a light source where the source of the light is focused on a single point, which emitts a hight brightness beam of light. LEDs are maintenance free and can be controlled electronically making them especially suited for applications that require light animation and special lighting effects. 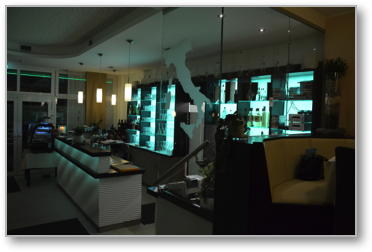 In order to really do justice to the wide range of applications LEDs can be used for you will need lighting controls. 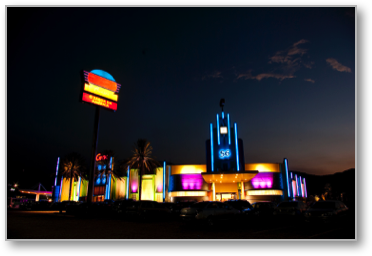 These range from simple dimming solutions to highly sophisticated RGB applications that let you turn whole buildings into television screens. Eurocom will help you all phases of your lighting project. We will support you from developing a lighting concept to the choice of the lighting technology so the outcome matches the vision of what you are trying to achieve. We will show you how to wire your system correctly and help you with the programming of the lighting effects. The neon tube deservedly has a cult following today. 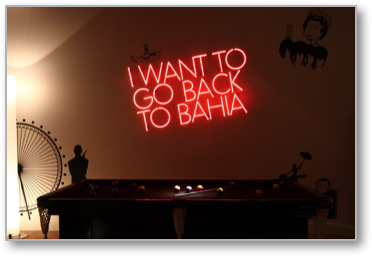 There are things you can do with neon that you can not do with any other lighting technology. For this reason it is still popular with designers, sign manufacturers, architects and artists. Neon, also known as cold cathode lighting, marked the beginning of the gas discharge technology that lights our buildings today. Today florescent lighting is not limited to straight lines either anymore either. Thanks to flex flour, a well-trained glass blower can craft almost any shape and form. From plasma lamps to beer signs or the skeleton neon you see on the outside of your favorite restaurant, the sky is the limit.